Tesco, bellwether of UK grocery and retail as a whole, is back on its feet, according to its latest results. 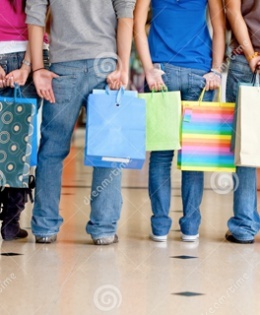 They showed growing sales volumes as shoppers responded to lower prices, better ranges and improved service, with like-for-like sales rising 0.9% - the third quarter of growth in a row. While Tesco and much smaller rival Morrisons are fighting back, Sainsbury's performance is sagging again. 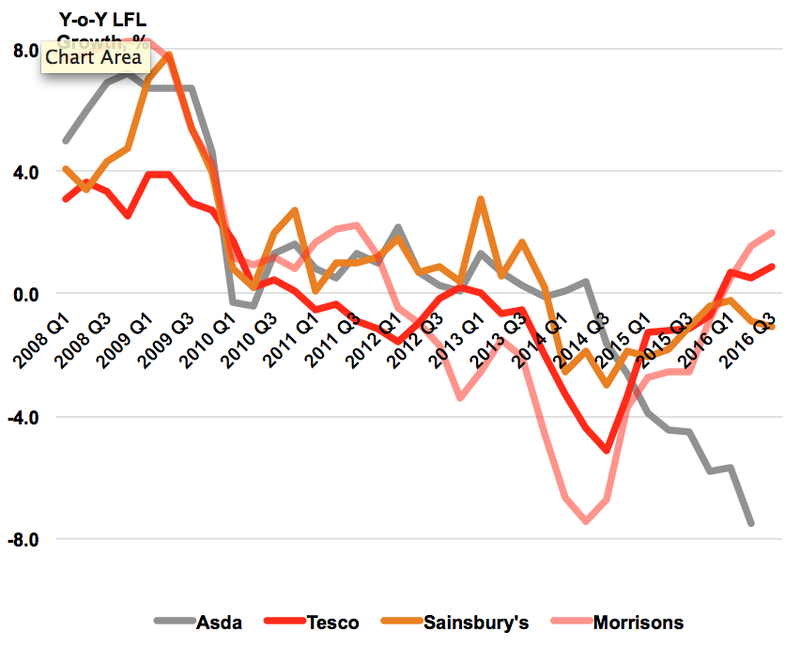 However, worst hit by the return of Tesco to fighting form is Asda, which has seen like-for-likes plummet. So why, if Asda too has been cutting prices as part of its own turnaround plan, has it seen such a poor performance? Partly it is because Asda has historically pitched itself as the EDLP (Everyday Low Prices) grocery operator among the Big Four. This role is now being challenged as never before by budget operators Aldi and Lidl. However, a major part of its problem, I believe, also lies in its customer base, which is skewed far more towards the 30-49 family demographic than the rest of the 'Big Four'. Unless it moves to concentrate on winning over the over-50s, whose spending power is not under so much pressure, Asda will continue to struggle - and lose - in its fight to hold market share. Recent TV advertising focusing on young families, the most pressured demographic with the slowest growing spending power, is likely to compound this problem. Overall, the grocery market remains deflationary and consumers continue to respond to price cuts with only moderate growth in sales volumes, after a long period, since the beginning of the recession, during which they have been flat or declining. In this context, Asda's focus on the 30-49s, whose food and drink spending is up just 8.6% in the past five years, against 26.7% for 65+ households, is a major problem and one it needs to resolve urgently.